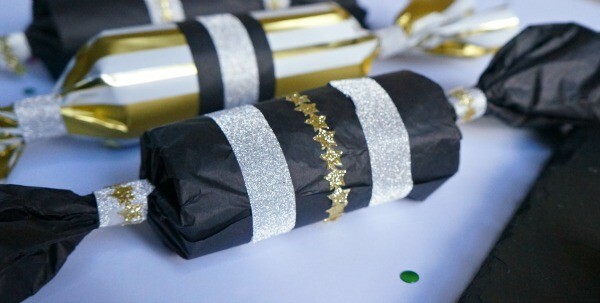 DIY New Years Eve Party Poppers - Made Out of Toilet Paper Rolls! DIY New Years Eve Party Poppers – Made Out of Toilet Paper Rolls! 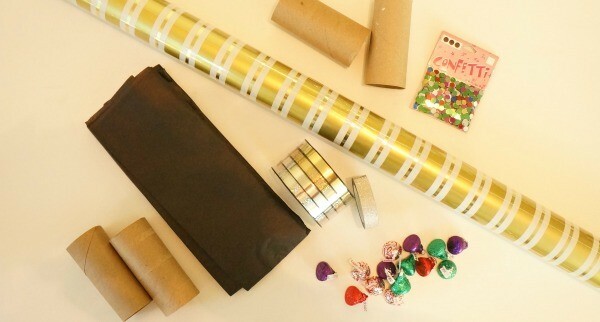 We had so much fun with these DIY new years eve party poppers! Who’s ready to celebrate the new year?! It’s almost 2016, so we’re celebrating the new year and going out with a BANG! Try making these DIY new years eve party poppers using toilet paper rolls, just a few steps and you’re ready to celebrate! We love to create around here, so it’s no surprise that we wanted to try making party poppers for the countdown to 2016. We tend to make toilet paper roll crafts often, so we save the rolls here and there, just in case we come up with something! No need to buy party poppers this year, we’ve found a way to make our own and they turned out great! 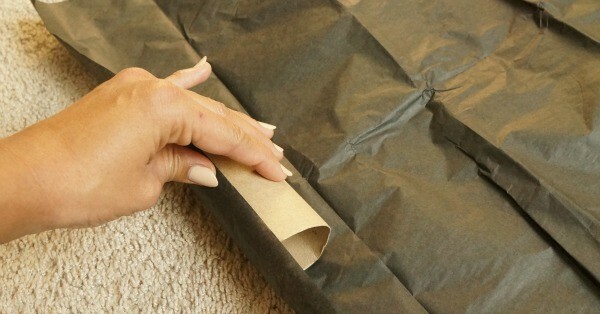 Ok, so take a toilet paper roll and roll it up into a piece of tissue paper a few times, or until the whole thing is completely covered. Twist one of the ends like a piece of candy and tie with ribbon or tape. Make sure it’s completely sealed! 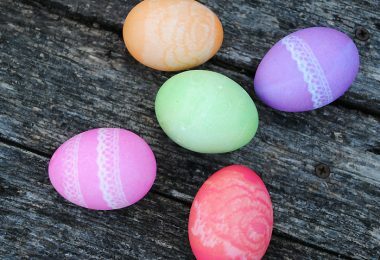 On the other end that’s still open, add a couple of pieces of small candies and confetti. I used a small amount of confetti in each popper, easier clean up! Twist and tie off the other end, like you did the first one, making sure it is completely sealed. Now, you can trim the ends to your desired length and decorate the popper. That’s it! To “pop”, pull each end of the paper on both sides of the popper at the same time really hard. BAM! Note: The gold and white popper was made out of wrapping paper. 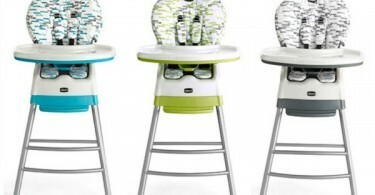 You’ve gotta pull this one a little harder to pop, but it still works! 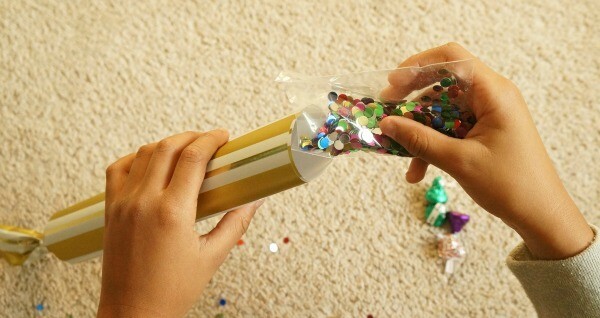 The DIY new years eve party poppers made out of tissue paper are much better for kids. 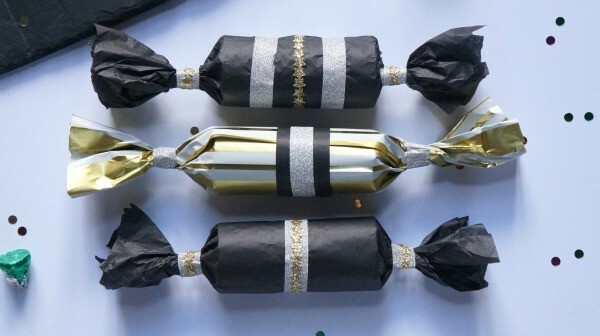 Don’t have the time to make these fun new years eve party poppers? 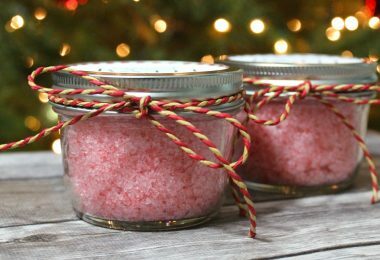 We love to make these ourselves, but totally understand that people are busy during the holidays. 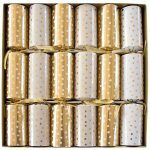 Buy shimmering gold or silver party poppers for your new years party here! These are premade and filled with lots of fun trinkets, no work needed! Enjoy, and have a wonderful new year!